Heartworm disease is a serious, fatal disease in dogs. It is caused by an infection with the parasitic worm, Dirofilaria immitis. Heartworm disease is also known as Dirofilariasis. At Bondi Vets we recommend the Proheart injection to ensure your dog does not acquire heartworm. The Proheart injection can be given at the same time your dog comes in for his/her yearly health check. Adult worms cause disease by clogging the heart and major blood vessels leading from the heart. They interfere with the function of the valves in the heart. By clogging the vessels the blood supply to other organs of the body is reduced, particularly the lungs, liver and kidneys, leading to malfunction of these organs. Coughing. This is most often a soft, dry chronic cough. Ascites. Swelling of the abdomen due to accumulation of fluid occurs when the right side of the heart is not functioning normally. Want to know more about the Heartworm disease? Read our blog post about Heartworm here. Did you know that 1 in 3 pets need unexpected veterinary treatment every year? Pet Insurance ... Do I Really Need It? Insurance is one of those things that you are glad you have when you need it! Each year 15.7% of people make a claim on their home insurance and 21.9% on their car insurance. 38.6% of dog owners that have pet insurance make a claim each year and if the dog is over 7 years of age this increases to 60%. This means that you are more likely to make a claim on your dog's pet insurance than you are to claim on your house or car insurance! So rather than asking "do I really need it?" ask "can I do without it?". How Do I Choose the Correct Insurance Company and Plan? Additional Benefits. Often insurers will cover other areas as well as vets fees. Check what additional benefits the insurer offers, and if you have to pay additional premium to have it. Sub Limits. Check if the insurer imposes "sub limits" on items such as medication, hospitilisation, radiology, skin conditions and more. It is important to check this, as it could limit how much you are entitled to claim. Exclusions. Most insurers will not provide cover for any condition which was known about before the policy was taken out. However, it is important to check if there are other conditions or treatments, which are not covered by the policy. Excesses. Some companies will advertise that there is no excess to pay on claims. Read carefully though, as many of these companies pay only 80% or 70% of the total claim cost, leaving you to find the other 20% or 30%. Cover for older pets. When your pet is eight years old, some insurers will not renew your policy and others will renew the policy at their discretion. Although you may not think it important when you have a puppy or kitten, as your pet gets older, the amount paid out in claims increases. Check age restrictions with the insurer. Premium loading. Check the premium and excess do not increase with a history of claims. Ask the insurer questions if you are not sure of anything and read leaflets carefully before committing to a policy, as it might not give you and your pet the protection you deserve. This depends on the type of cover you want and the policy! Pet insurance policies either pay a percentage of the total vet bill or you pay an excess and the insurance covers the rest. ▸ If you want a policy where you pay an excess and the insurer pays the rest of the bill look at PetPlan. ▸ If you want a policy where the insurer pays you a percentage of the bill look at Prosure, Vets Own or Pet Insurance Australia. Some human private health insurance companies now also have pet insurance policies so it may be best to see if your private health insurance company has this. As with all insurance it is best to read the fine print, BUT any pet insurance is better than none! Distemper virus: causes neurological and respiratory disease - and death. Adenovirus type2 (infectious hepatitis): causes liver and respiratory disease - and death. Bordetella bronchiseptica: causes kennel cough which is a highly contagious cough that dogs often contract when in close contact with other dogs, for example in boarding kennels. The disease causes significant discomfort to dogs (and their owners) but is rarely serious or life-threatening. Cats are vaccinated routinely with an F3 vaccination but also optionally can be given an FIV and/or Feline Leukaemia vaccination. We recommend that all cats that venture outdoors be vaccinated against FIV and Feline Leukaemia virus as these are spread via cat fights. One of the most common parasites that affects pets of all breeds and ages is the flea. These small biting insects are responsible for much irritation, annoyance and expense! Each year pet owners spend millions of dollars on a huge range of products to eliminate these persistent pests from their treasured companions. At Bondi Vets we believe in providing the best advice possible advice on all aspects of your pet's health care needs. This obviously extends to flea control. There are a large number of products available and the choice can be confusing. To help you in this decision we have researched each product in a scientific manner and have used this to develop our recommendation. 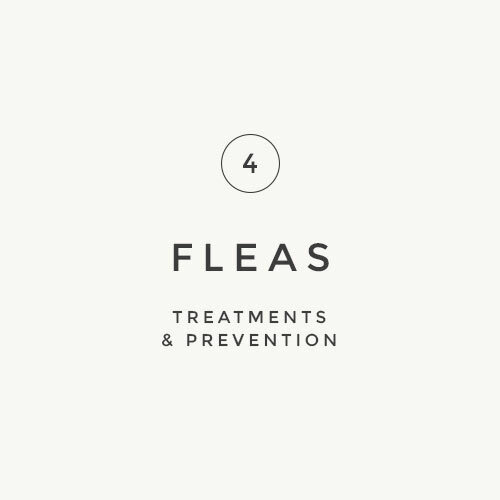 Part of the decision when choosing a flea product comes down to the individual pet's circumstances. For example, a dog that needs to be bathed regularly due to a skin condition or swims regularly may need a tablet rather than a spot on. As everyone's pet is unique we recommend calling for advice or booking an appointment to establish a flea control program for your pet's situation. To understand why flea control is not simple and why it can seem confusing please read our FAQ sheets. to our Newsletter to receive regular information about how to keep your pet happy and healthy.